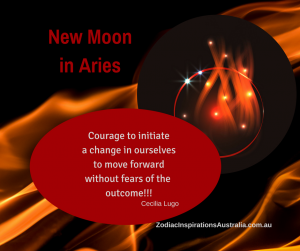 The new moon brings the opportunity to plant our intentions or seeds for a new beginning. This new moon in Aries is at 26 degrees and will be with Uranus. Powerful energy to break with what is not useful for us and initiate a change in ourselves to move forward without guarantees, but feeling inside of us that we will win our battle. Today find some time and take piece of paper and a red marker and write down what your intentions are to do something for yourself that makes you feel you are taking care of who you are. Highlight your individuality and the purpose to be here in this world! Mercury is direct since last night! Now we can hit it hard! The New Moon is at 11:57 am. Best time to do your Moon Board is between 11:57 am to 6:51 pm when the moon will move to Taurus. • Raise self-esteem & confidence. How? For example RELEASE THE TEMPTATION TO COMPARE YOURSELF. Cancel any negative thought or attack to your esteem distract your mind with a positive affirmation boosting a quality OR talent you have. • BOOST leadership INITIATING a project!!! • CHANNEL PERSONAL GOALS. For example: I want to listen more carefully and maintain feedback with people positive.